Q. 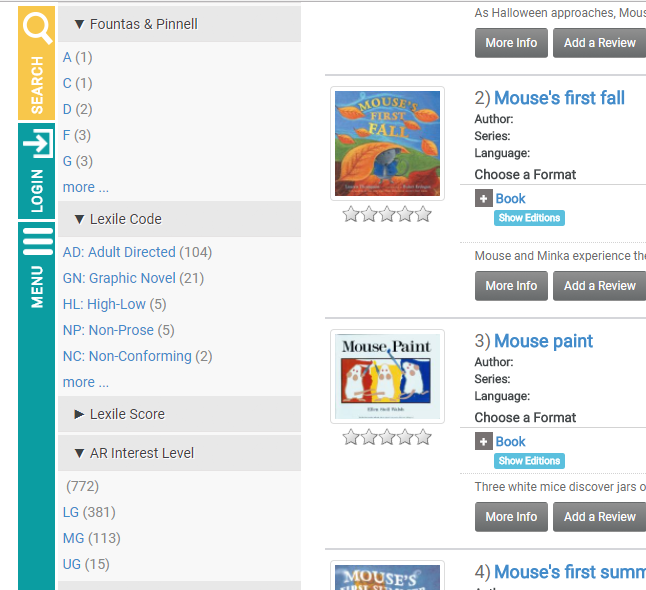 How can I tell the reading level of books in the library catalog? Library books for children include Lexile Levels, Accelerated Reader and Fountas an Pinnell reading levels in our library catalog. To see books in a certain reading level, search a topic (you can also do an "empty search" to bring up the entire library catalog), and use the limiters on the left side of the search screen.